Every Tuesday and Thursday for the next 13 weeks, TY students are volunteering to help out our first year students with their homework and any inquiries about school life. We meet our assigned first year student at 4:15 pm and we usually spend 10 mins discussing what their little feet's have been up to and answer one of their many questions. 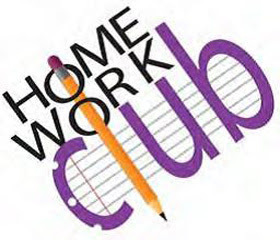 Then they start their homework with the help of the TY students. We help them whenever they are stuck but that doesn't happen a lot as they are quite capable of doing it by themselves. Over the next few weeks, we will be teaching them strategies to help with revision and study skills. One of the most enjoyable parts starts at around 4:55 pm, when the refreshments show themselves through the door and are dragged towards us on the tray with glorious eyes and jaw dropping mouths as we try to look away. Mostly, the hour is filled with entertainment and enthusiasm. We have a lot of experience and stories to share with the first years along with some advice which we hope will benefit them as it did for us.